If you are interested in joining and have never experienced fun, high-intensity functional exercise, this is for you. You will get to meet current members and some of our coaches. See what your body was meant to be used for. 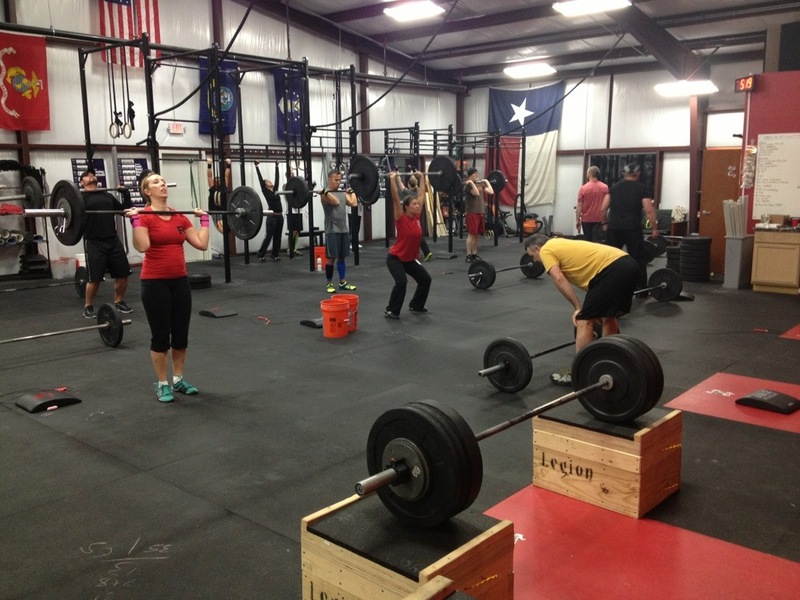 CrossFit Wylie was the first and is the oldest CrossFit affiliate in the Wylie / Sachse / Murphy area. We have a 6,400 sq/ft. training facility located on the Wylie / Murphy border offering professional group and individual training, utilizing the CrossFit methodology. CrossFit workouts are comprised of constantly varied functional movements (like pushing, pulling, squatting, lifting, running, jumping) executed at high intensity. At CrossFit Wylie, we offer multiple training programs including CrossFit, Weightlifting, CrossFit Kids, and Yoga. All lead by the best instructors in the area! Our fitness programming aims to improve your capacity in ten recognized fitness domains cardio-respiratory endurance, stamina, strength, flexibility, power, speed, coordination, agility, balance, and accuracy. The result is comprehensive physical fitness and restored vitality. Our community at CrossFit Wylie is diverse; it includes members of our military, full-time moms, doctors, lawyers, police officers, firefighters, business executives, elite athletes, and retired grandparents. Regardless of how you earn an income or your current fitness level, you will benefit from the coaching at CrossFit Wylie. We promise to offer an exciting and motivating environment and a knowledgeable staff dedicated to helping you reach your fitness goals. We promise to always challenge you so that you never get bored and a community that will inspire and motivate you.